Looking for a 1X chainring for your new Shimano XT, SLX or Deore crankset with the proven chain retention of our Drop-Stop® chainrings? 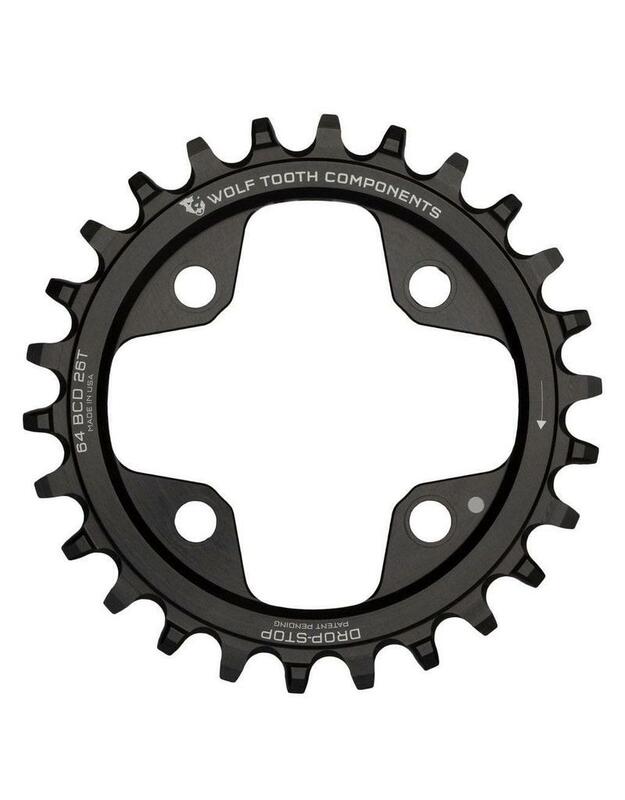 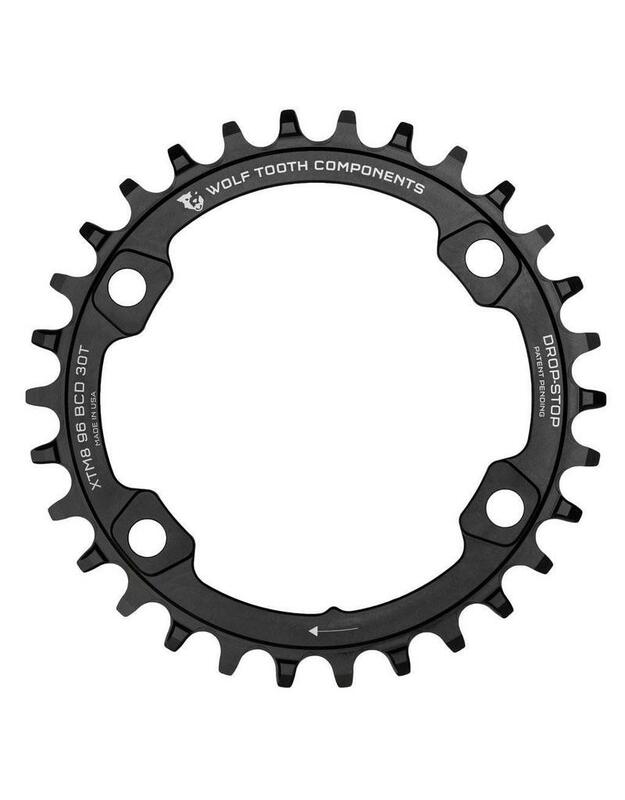 Wolf Tooth has what you need in the form of a beautifully machined asymmetrical 96 mm BCD that provides the ideal 1X chainline of 49mm. 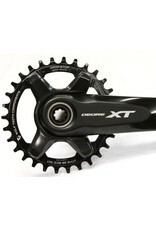 Note that the 28T and 26T sizes will mount to the inner 64 BCD mounting position on these cranksets. 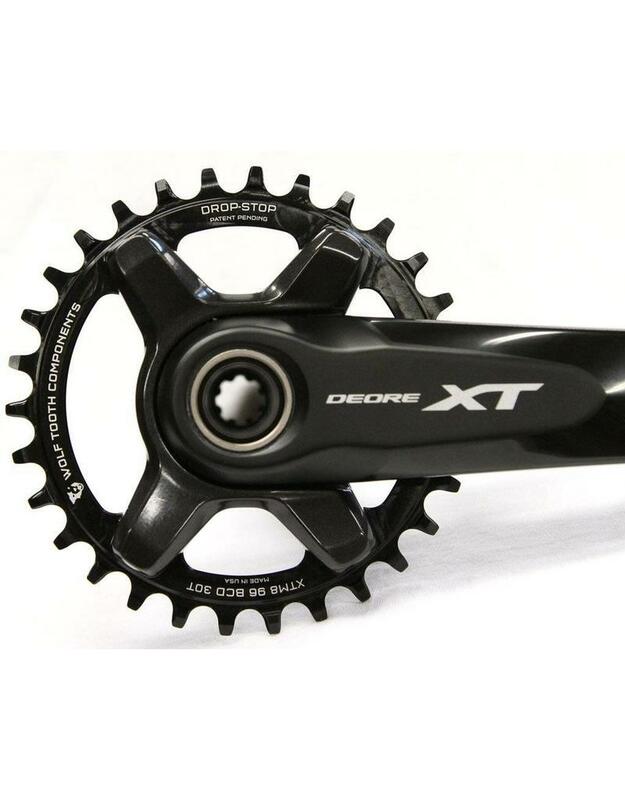 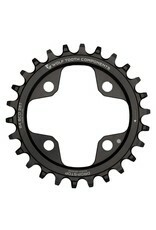 These rings fit on the Shimano XT M8000, SLX M7000 or Deore M6000 1x or 2x cranksets, and here are instructions on how to measure your BCD.